Beyond Spotlight Coins: The Eagles have landed! Many of you are loyal followers of our ‘Spotlight’ coin offers. Once a month, we scour the rare coin market to find coins that are both rare and affordable (typically $2,500 or less per coin), and many of you have taken advantage of these offers. What is the next step to take to increase your profit potential and protect your portfolio? It’s logical. 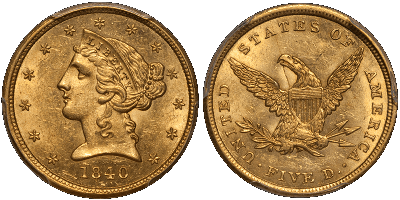 Add rare gold coins to your numismatic holdings. For those of you who have been consistently intrigued by our offers (judging by our phone calls, it’s a lot of you) we are here to offer you even more value with our Rare Coin Program. 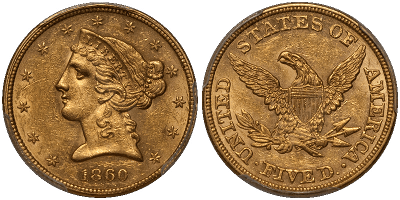 As an example, look at one of our previous spotlight offerings of the Liberty Head Half Eagle. We first offered this in December 2013 and it proved to be very popular. Below is a brief description of that coin and its rarity. Now, take a look at a similar group we can offer through our RCP. This is the next step up for you in your rare coin purchases. The Half Eagles have landed! These coins are available for your purchase right now. Click here to find more detailed descriptions for each coin. They should go quickly, and only one of each coin is available. That’s the kind of rarity we can offer with the RCP. Keep reading to find out why taking the next step might be right for you. Rare coins are uncorrelated to any other investments. Their performance patterns are evident in both good and bad markets. Rare coins offer protection against the volatility of the securities market as well as inflation protection. With the developing concerns over the U.S. dollar and talks of adding the Chinese yuan as a world reserve currency in October, now is the time to find an asset class that has nothing to do with the stock market, bullion market or value of the U.S. dollar. Our Rare Coin Program is one of those assets. What happened to your portfolio in 2008? It probably went down, a lot! Rare coins went up in 2008, while nearly everything else (including gold), went down! Rare coin values are driven by the passion of the collector market. This differs from the more price-driven semi-numismatic market. Collectors of rare coins are not looking at inflation, currency values or any other economic factors. They want to add to or complete a collection. Rare coins have shown over a 170% increase in the past decade. 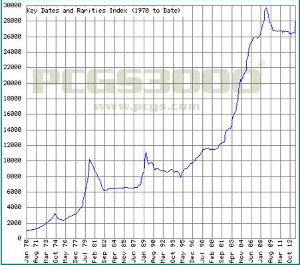 The PCGS Key Dates and Rarities Index records rare coins as having appreciated an average of 11% annually over the past 40 years, outperforming the stock market, long-term. In the last 10 years the rare coin market was the second highest earning collectible asset class behind only classic cars… and, you don’t need to build a new garage for rare coins! But rarity alone is not an indication of investment performance. 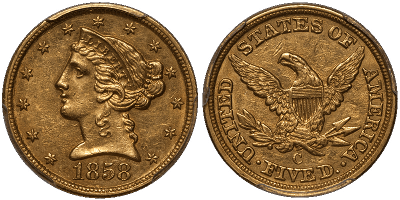 Rare coins are judged by their scarcity, condition, beauty and ultimately their collectability. Only investment grade coins are in our RCP. Semi-numismatic coins do command a numismatic premium and are a great deal, but they are not immune to the movement of their precious metal value. This is the most transparent the investment grade coin market has ever been. Two major companies, the Professional Coin Grading Service (PCGS) out of Newport Beach, California and the Numismatic Guaranty Corporation (NGC) out of Sarasota, Florida, are the best and most respected grading services in the U.S. Every RCP coin we sell has been graded and encapsulated by either PCGS or NGC. These companies have revolutionized the rare coin market and have given collectors and investors the peace of mind of a third party guarantee of the quality and rarity of what you are acquiring. You are working with a World Renowned Expert. 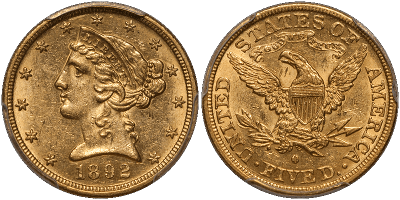 Our own RCP expert is Douglas Winter, the world’s acknowledged leader in pre-1933 U.S. rare gold coins. Doug is a resource for coin collectors worldwide. Top auction houses seek out his services to value their coin auction specimens. When PCGS was being established in the 1980’s, Doug was consulted on establishing the criteria for grading systems that are now used worldwide. 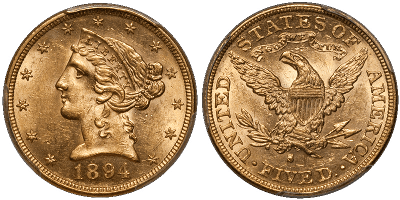 Doug has written 13 books on pre-1933 U.S. rare coins. In this program he will handpick your RCP holdings. You have direct access to a world expert. I’d be willing to bet that most of us don’t have access to world experts in most of what we do every day, but you do in this program. Investment-Grade Coins are Vanishing from the Market. Our Spotlight coins offer unique buys at great prices without a level of rarity that gives you true non-correlation. Investment-grade coins are disappearing from the market as people from all over the world are discovering their value. What are they discovering? Obtaining non-correlated assets for as little as $5,000-$10,000 per coin is possible! Collectors and investors are hoarding their trophy coins. They are the last asset they sell, even when they retire or need liquidity. Doug is always on the lookout for the best of the best. He is the ‘go to’ guy when collectors want to buy or sell. That’s why you want him in your corner. Check out the RCP program with one phone call to an ASI Preferred Client Relations representative at 877-340-0790. Or, send me an email today. Take advantage of today’s U.S. dollar strength to tap into this exciting, diverse and extremely stable market.